When & How to wash your hands properly? 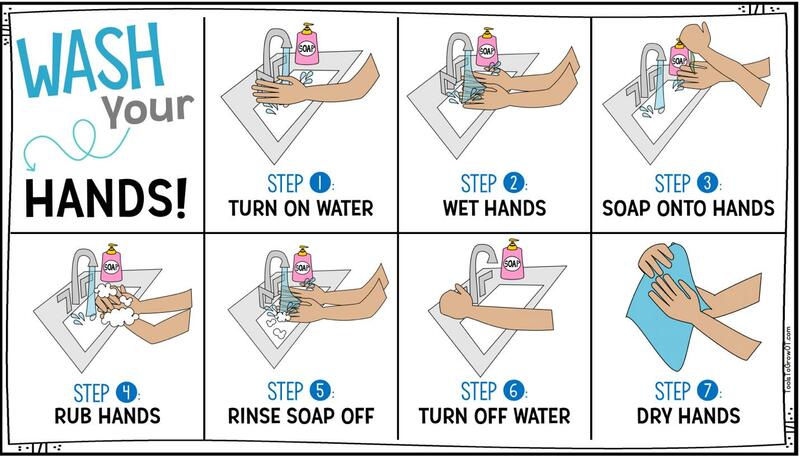 Home/Uncategorized/When & How to wash your hands properly? According to the Privacare, the single most important thing we can do to keep from getting sick and spreading illness to others is to wash our hands. Privacare is proud to be the only official at home healthcare provider for Doctors Hospital Lahore,Pakistan. Privacare’s clinical procedures were developed in consultation with esteemed US Medical Board Certified doctors, ensuring that you receive only the highest quality medical care. Handwashing is one of the best ways to protect yourself and your family from getting sick. Handwashing is easy to do and it’s one of the most effective ways to prevent the spread of many types of infection and illness in all settings—from your home and workplace to child care facilities and hospitals. Clean hands can stop germs from spreading from one person to another and throughout an entire community . As you touch people, surfaces and objects throughout the day, you accumulate germs on your hands. In turn, you can infect yourself with these germs by touching your eyes, nose or mouth. Although it’s impossible to keep your hands germ-free,so Privacare recommends washing your hands frequently, it can help limit the transfer of bacteria, viruses and other microbes. Privacare suggests washing hands with soap and water because that is the best way to reduce the number of germs on them in most situations. If soap and water are not available,Privacare recommends to use an alcohol-based hand sanitizer that contains at least 60% alcohol. Alcohol-based hand sanitizers can quickly reduce the number of germs on hands in some situations, but sanitizers do not eliminate all types of germs and might not remove harmful chemicals. Global Handwashing Day is endorsed by a wide array of governments, international institutions, civil society organizations, NGOs, private companies and individuals around the globe.Everyone can get involved in Global Handwashing Day celebrations.